There will soon be two new structures in Latonia. The first one will be a 58,000 square foot office building that will house state government offices, as The River City News first reported in May. Developer William Fowler said that the Commonwealth of Kentucky has signed on to an eight-year lease, the longest allowed by state statute. On Wednesday night, Fowler and his team appeared before Covington's Board of Adjustments since the vacant lot on 43rd Street (behind the Walgreens on Winston Avenue) is zoned as light industrial. The board unanimously approved the request to develop an office building on the site. "I have some concern about the fact that we're trying to maintain an industrial base in Northern Kentucky and we're losing a lot of sites," said Marshall Slagle, a member of the Board of Adjustments. "My thought was, on this facility, it could be turned into a research facility and still be consistent with the industrial zone, bu tused by itself it's not necessarily a use I would consider industrial." Slagle was satisfied that in the future the site could be used for something along the lines of research and development. A month ago, Fowler bought the site where he plans to put the office building. He said that he was not sure which branch of state government would be going in, but Covington City Commissioner Chuck Eilerman had said previously that it would be staff from the Cabinet for Health & Family Services which currently operates Downtown. The number of employees is unknown but it is likely in the hundreds. Fowler's engineering team built a similar one-story structure in Owensboro for state offices. 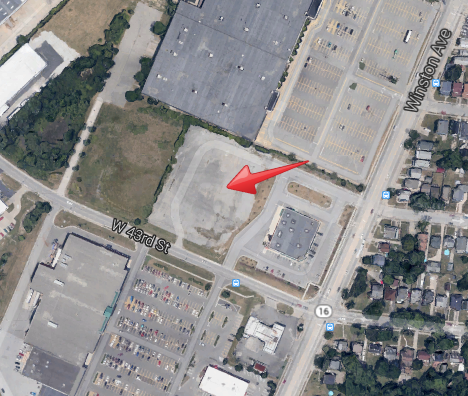 Meanwhile, hours before Wednesday's hearing, Fowler purchased a second lot adjacent to the state offices site where he hopes to build another office building. This second structure would be 15,000 square feet or less. The 3.79 acre site would have 362 parking spaces for both buildings and the increased traffic is expected to have a minimal impact, though a change in the speed at which traffic lights in the area switch colors may be needed, zoning administrator Andy Juengling said. Details on the occupants of the proposed second building, if there are any yet, were not made available. Board member Elzie Barker noted that while the occupant of the new building will be the state government, the property will be privately held, adding to the property tax rolls. Many of the state offices downtown will be replaced in favor of a new administration building for Gateway Community & Technical College inside the former YMCA on Madison Avenue. The development is welcome news for Latonia, a large neighborhood's where the shopping center sits mostly underutilized and where more employees could mean big business for nearby restaurants and shops.